روہنگیا بحران میں انسانی حقوق کی سنگین خلاف ورزی ایک کربناک المیہ ہے ۔ میانمار میں انسانیت ختم ہونے کے دہانے پر ہے۔ خواتین اور بچوں کا قتل عام کیا گیا اور معصوم نوجوان اور بزرگوں کو ایک منظم طریقے سے نشانہ بنایا گیا ۔ اس نازک موڑ پر، روہنگیا مہاجرین کو ملک بدر کرنے کے حکومت ہند کے موقف نے بے شمار مسائل کھڑے کر دئے ہیں اور اسے سپریم کورٹ اور نیشنل ہیومن رائٹس کمیشن کی جانب سے تحقیقاتی سوالات کا سامنا ہے۔ ان کی ملک بدری کے اس منصوبہ نے ہندوستانی مسلم رہنماؤں، دانشوروں اور خاص طور پر ان علماء کے درمیان ایک تناؤ کا ماحول پیدا کر دیا ہے جو روہنگیا مسلمانوں کے لئے ہمدردی کا جذبہ رکھتے ہیں۔ ان کے لئے یہ سمجھنا مشکل ہے کہ جس ملک نے اپنی ابتداء سے ہی مہاجرین کا استقبال کیا ہے وہ وہ ان 40 ہزار روہنگیا مہاجرین کو کس طرح ملک بدر کر سکتا ہے جو اس وقت دنیا کی سب سے زیادہ ستائی ہوئی اقلیت ہیں! On this Independence Day, we need to also remember the freedom strugglers who have been forgotten almost completely. The first Indian freedom movement of 1857 should particularly be recalled in this context. While 70 percent of the soldiers came from the Hindu or Sikh community, the Ulema and Muslim leaders like Maulana Fazle Haq Khairabadi, Maulana Ahmed Shah, Bahadur Shah Zafar, Khan Bahadur Khan, Begum Hazrat Mahal, Firoz Shah and Azimullah Khan were the most prominent characters in the annals of the revolt. Remarkably, Nana Sahib, Rani Laxmi Bai and Tantya Tope declared Bahadur Shah Zafar, a Muslim King, India’s first independent ruler on May 11, 1857. Similarly, Ram Kunwar Singh, Raja Nahir Singh, Rao Tula Ram exerted herculean efforts and sacrifices to uphold the 1857 revolt. During the 1857 revolt, India’s top Ulema declared the rebellion for freedom as “Wajib-e-Deeni” (religious obligation). They issued an anti-British fatwa while actively participating in the blood-spattered insurgents. Among the most forgotten Ulema and Maulvis who valiantly campaigned for an independent India were: Maulana Sadruddin Azurda Dehlvi, Maulana Ahmadullah Shah Madrasi, Maulana Fazle Haq Khairabadi, Maulana Kifayat Ali Moradabadi, Maulana Rahmatullah Kairanvi, Imam Bakhsh Sahbai Dehlvi and Maulana Wazir Khan Akbarabadi. These Ulema were imbued in an Indian strain of Islam with a pluralistic and nationalistic ideology originally underpinned by the Sufi mentors such as Mirza Mazhar Jaan-e-Jaanan (1195-1781), Shah Abdul Aziz Dehlvi (1239-1824), Qazi Sana’ullah of Panipat (1225-1810), Shah Rafiuddin Dehlvi (1233-1818) and Mufti Sharfuddin Rampuri (1268-1852). Their exhortation of nationalism called Hubb-ul-Watani (love for the country) was the driving force behind the Ulema’s fierce struggles and sacrifices in the Independence movements from 1857 to 1947. I suffice to reproduce three prominent examples from the Indian Ulema’s traditions and accounts. A leading revolutionary in the 1857 revolt was Maulana Fazle Haq Khairadabadi, son of Allama Fazle Imam Farooqi, the Grand Mufti of Delhi in the 18th century and a disciple of the noted Sufi master, Shah Abdul Qadir (1230/1815). He rendered various services to the country but the anti-British fatwa known as “Tahqeeq al-Fatwa fi Ibtal al-Taghwa” (fatwa in refutation of the devil) was his most remarkable contribution to India’s first freedom struggle. “When General Bakht Khan, along with his fourteen thousand soldiers, came for Bareilly to Delhi, Maulana Khairabadi delivered a Friday sermon before hundreds of Ulema in Delhi’s Jama Masjid. He put fourth an Islamic decree (Istifta) on the freedom fight for the country with the signatures of Mufti Sadruddin Azurda, Maulvi Abdul Qadir, Qazi Faizullah Dehlvi, Maulana Faiz Ahmed Badayuni, Dr. Wazir Khan Akbarabadi, Syed Mubaraksha Rampuri”. No sooner did this fatwa against the British was declared and widely disseminated, the revolt intensified throughout the country. Some ninety thousand soldiers gathered in Delhi. Quoting from the “Akhbar-e-Dehli” of Chunni Lal, a contemporary Urdu researcher Khushtar Noorani writes: Maulana Khairabadi continued to hold gatherings delivering sermons on the significance of the jihad against the British to rescue the country which was Darul Islam (abode of Islam) in his view”. In January 30, 1859, Khairabadi was arrested by the British authorities and a case was filed against him for ‘taking a leadership role in the rebellion’, as C. Anderson records in “The Indian Uprising of 1857-8: prisons, prisoners, and rebellion”. He was tried in the court and was sentenced to imprisonment at Kalapani (Cellular Jail) on Andaman Island with confiscation of his property by the Judicial Commissioner, Awadh Court. During the court proceedings, Maulana himself defended his case and categorically stated in the court that he had issued the anti-British fatwa with his free will, not by compulsion. He reached Andaman on 8 October 1859. Sir William Wilson Hunter, a Scottish historian and a compiler and a member of the Indian Civil Service, writes: “Fazl-e-Haq was an alim (Islamic scholar) who was sentenced to imprisonment in the Kaala Paani and whose library was confiscated and brought to Calcutta by the English government”. (Hamare Hindustani Musalamaan, [Urdu] Page: 203, Delhi). One of the most notable revolutionaries of the 1857 revolt in Delhi was Mufti Sadruddin ‘Azurdah’. An intellectual, spiritually inclined literary figure from the Kashmiri origin, Azurdah was a disciple of the renowned and authoritative classical scholar of Islam Maulana Fazl-e-Imam Faruqi (1244/1829) of Khairabad located in Sitapur (Uttar Pradesh). Notably, Azurdah was Delhi’s Grand Mufti, an excellent Urdu poet and a bosom friend of Mirza Ghalib. His proactive engagement with the revolt of freedom in 1857 resulted in the loss and devastation of all his poetry during the riots. The only known collection of his poetry is the “Surviving Poetic work of Azurdah” compiled by A’bdur Rahman Parwaz from various Tazkiras (memoirs). One of the architects of modern Muslim mindset in India, Sir Syed Ahmed Khan mentioned Azurda in his book “Asaar-us-Sanadid” (the remnants of ancient heroes) as a “well-versed Muslim scholar of his age”. When the Ulema of Delhi declared Jihad against the British, the fatwa was signed by Azurdah as published in the famous Urdu daily Akhbaar-uz-Zafar dated July 26, 1857. The newspaper is preserved in Delhi’s National Archives. Azurdah is also reported to have been the mediator between the English and Mughal elites in the early days of the British ascendancy in Delhi. He held meetings and consultations with Bahadur Shah Zafar in the Red Fort during the Mutiny to help the Indian revolutionaries further their cause. When the British curbed the 1857 revolt, a case for rebellion was filed against Azurdah. He was tried in the court and suffered a painful imprisonment. Consequently, a large part of his property was confiscated. The British authorities destroyed almost 3 Lakh books collected in Azurdah’s personnel library. Remarkably, Azurda trained many Ulema and scholars like Maulana Ahmadullah Shah Madrasi and sent them to Agra in 1846 where they established a council of Ulema (Majlis-e-Ulema) to systematically campaign for the rebellion against the British colonialism. Ahmaddullah Shah was a spiritually inclined Alim or Islamic scholar. He got fascinated towards a mystical lifestyle from his youth. Therefore, he left his home and travelled far and wide, from Hyderabad and Madras to England, Egypt, Hijaz, Turkey, Iran and Afghanistan. Back in India, he spent most of his life in mysticism and even in Chillahkashi (Sufi practice of mystical seclusion for 40 continuous days) at Bikaner and Sambher. He attained the spiritual disciplehood of his Pir-o-Murshid (Sufi master) Mir Qurban Ali Shah in Jaipur where he was granted the Ijazat-O-Khilafat (spiritual succession and authorization). From Jaipur, he travelled to Tonk where he held the Mahfil-e-Sima (gathering for mystical music) which was criticized by the conformist Ulema. Dismayed by their objection, he left for Gwalior where he met another Sufi mystic Mehrab Shah Qalandar. Having granted him the Ijazat-o-Khilafat, Shah Qalandar exhorted him to work for India’s freedom movement. Therefore, he left Gwalior for Delhi in 1846. In Delhi, he met Mufti Sadruddin Azurda who directed him to go to Agra which he thought was the best place for a better and successful preparation for the campaign against the British oppression. In Agra, he consolidated ties with the leading Ulema who cooperated him in the formation of Majlis-e-Ulema (Council of Ulema) to campaign against the British regime. In the famous book, “The Indian mutiny of 1857” edited by Colonel Malleson, Maulana is mentioned as follows: “If a patriot is a man who plots and fights for the independence, wrongfully destroyed, for his native country, then most certainly, the Maulvi (Ahmadullah) was a true patriot”. The British historian Malleson has described Maulana in these words: “The Maulvi was a very remarkable man…. In person, he was tall, lean and muscular with large deep set eyes, beetle brows, a high aquiline nose, and lantern jaws….. The British considered him a worthy enemy and a great warrior”. Malleson further writes that “no doubt, the leader behind this conspiracy (1857) which had spread all over India was the Maulvi (Ahmadullah)…….. I think that he the brain behind the revolt”. During his journeys, Maulana introduced a novel scheme which is known as the ‘Chapati scheme’. He devised the circulation of Chapatis from hand to hand to disseminate the message amongst the rural population of the North India that a great uprising would take place. The English historian G.W. Forest heaps high praises on the Maulana for being a ‘practicing alim’, a ‘Sufi soldier’ and commander with great military skills (Kaye’s and Malleson’s History of the Indian mutiny of 1857-8). 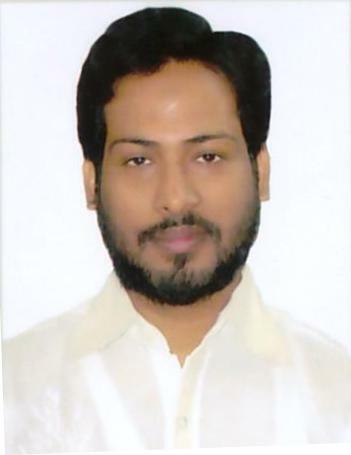 In his article, “Maulvi Ahmedullah: The Unsung Hero of the Revolt” published in Radiance Viewsweekly, Mohd. Asim Khan depicts a portrait of how valiantly Maulana fought against the British: “Maulvi Ahmedullah Shah was a rare combination of both a writer and a warrior. He used his sword valiantly, and his pen effortlessly for awakening and mobilising the people against the foreign subjugation…..He wrote revolutionary pamphlets and started distributing them. It was too much for the imperialists and they ordered his arrest. He was tried for sedition and sentenced to be hanged”. The British officers declared a reward of Rs. 50,000 for capturing Maulana alive. The proclamation reads: “It is hereby notified that a reward of Rs.50, 000 will be paid to any person who shall deliver alive, at any British Military post or camp, the rebel Moulvee Ahmed Molah Shah, commonly called “the Moulvee”. It is further notified that, in addition to this reward, a free pardon will be given to any mutineer or deserter, or to any rebel, other than those named in the Government Proclamation No. 476 of the lst instant, who may so deliver up the said Moulvee”. Noted Urdu historian of Karachi, Prof. Mohammad Ayyub Qadri writes: “The martyrdom of Maulana Ahmadullah put an end to the [first] war of independence, not only in Ruhelkhand But in the entire country” (Jang-e-Azadi-e-Hind 1857, P. 303). The author is a scholar of classical Islamic studies, cultural analyst and researcher in media and communication studies and regular columnist with New Age Islam. Makhdoom Ashraf’s spiritual theories presented in his oral transmission known as “Lataif-e-Ashrafi” are our guiding light today. Indian Sufi saints of Persian origin have richly contributed to the beautiful mystical traditions in India. Their essential message included brotherhood (ukhuwat-e-insani), inclusivity (shumuliat) and a wide embrace of religious pluralism and multiculturalism. This was the key behind the vast popularity of the Sufi sages in the country. One such Indian sage who came from Persia was Makhdoom Ashraf Jahangir Simnani whose shrine is in Uttar Pradesh. A disciple of the 13th century Bengali Sufi sheikh Hazrat Alaul Haq Pandavi and a practitioner of Ibn-e-Arabi’s philosophy of Wahdat al-Wajud (unity of the existence), Makhdoom Ashraf is highly venerated in north India. He founded the branch of the Chishti Sufi order — Ashrafi Silsila — with vital contribution of his distinguished mureed (disciple), Syed Shah Abdur Razzaq Noor Ayn. Makhdoom Ashraf’s spiritual theories presented in his oral transmission known as “Lataif-e-Ashrafi” are our guiding light today. His discourse seeks to deepen our understanding about the basic tenets of Islam, such as wahdat and al-Tawheed (oneness of God). He introduced wahdat as a deeply nuanced and wider notion of love. “Wahdat means annihilation of the lover in the characteristics of his/her beloved”. 1. Wahdat-e imani (oneness in belief): It is an act of the servants of God, confirming by heart and verbally acknowledging His uniqueness. Finally Makhdoom Ashraf avers: “Wahdat is an ocean and the muwahhid (the believer) is a drop in it with no power of its own”. Fasting is one of the fundamental practices of Hinduism. Hindu devotees are exhorted to fast every once, twice, or thrice a week for the sake of Gods or Goddesses. On their fast days, they also engage in prayer and meditation especially during the nights. The core essence of Hindu fasting is the denial of the physical needs of the body for the sake of spiritual gains. One is encouraged to undergo bodily sufferings and endure hunger and hardship, so his sins would lessen. It is like punishing oneself. So, instead of God punishing him, he punishes himself. Hindus believe this would lessen some of his sins and he would have more good times in his life. According to Hindu scriptures, fasting helps build a personal attachment with the Almighty God by establishing a harmonious relationship between the body and the soul. They say that fasting deters one from indulging in mundane affairs and worldly desires allowing time for spiritual attainment and paying the way to get closer to God. Vedic scriptures enjoin observing a complete fast on the day of Ekadashi. Everyone from the age of eight to eighty, irrespective of caste, gender, or any material consideration, is supposed to abstain from both food and water on this day. Fasting in Judaism has myriad objectives. It is seen as both inner-directed and outer-directed in Biblical and rabbinic scriptures. By their act of fasting, Jews invoke God to act graciously towards Israel. While collective fasts are observed to arouse the compassion of the Lord for the whole Jewish community, personal fasts are performed as atonement for individual sins. Jewish bride and groom fast on their wedding day to begin their married life in a state of purity and sanctity, as the act of fasting atones for the previous sins of the couple. “On the tenth day of the appointed month in early autumn, you must deny yourselves. Neither native-born Israelites nor foreigners living among you may do any kind of work. This is a permanent law for you. 30On that day offerings of purification will be made for you, and you will be purified in the Lord’s presence from all your sins. 31It will be a Sabbath day of complete rest for you, and you must deny yourselves” (Leviticus 16:29-31). Yom Kippur is believed to be the most significant and serious day in the Jewish calendar, which is observed for repenting and grieving for the sins committed in the past as well as praying for forgiveness. In Judaism, one purpose of fasting is to lower the volume on physical pursuits in order to focus more acutely on our spiritual selves. “And when you fast, don’t make it obvious, as the hypocrites do, for they try to look miserable and dishevelled so people will admire them for their fasting. I tell you the truth that is the only reward they will ever get. 17But when you fast, comb your hair and wash your face. 18Then no one will notice that you are fasting, except your Father, who knows what you do in private. And your Father, who sees everything, will reward you” (Matthew 6:16). Although the true form of fasting in Christianity is complete abstinence from food and drink, many Christians today don’t observe it. They drink water or juice, eat certain foods and skip certain meals during the fast, or just avoid eating meat for a few days. But some Christians abstain from both food and drink. In Catholicism, fasting is considered an exercise that helps strengthen spiritually. By giving up something that isn’t sinful helps Catholics control their fleshly desires and maintain bonds with the poor. Lent, a forty-day period of fasting is observed by Roman Catholic, Anglican, and certain other churches in emulation of Jesus Christ’s example of his fast in the deserts of Judea. The Good Friday fast commemorates the day Christ suffered. Recently, Evangelical fasts have become increasingly popular, with people fasting for spiritual nourishment, solidarity with impoverished people. In some Christian societies, fasting is also observed to advance a political or social-justice agenda. As for Protestants, they consider fasting, usually accompanied by prayer, to be an important part of their personal spiritual experience. The chief objective of Islamic fasting, as enunciated in the Quranic injunctions and Prophetic traditions, is al-Taqwa; meaning righteousness and God-consciousness. The Quran is very clear in its fundamental objective of enjoining fasts upon Muslims. It says: “O ye who believe! Fasting is prescribed to you as it was prescribed to those before you, that ye may become righteous (achieve Taqwa).” (2:183). So, the essence of fasting in Ramadan is Taqwa, or righteousness, which Muslims are required to observe throughout the whole blessed month of Ramadan and onward. The Islamic notion of fasting is comparatively broader and more result-oriented. Islam introduced a radical shift in the meaning, form and spirit of the fast. It made the fast more natural and effective. Before Islam, fasting was seen as a symbol of sadness, mourning, atonement for the sins, a reminder of disasters as well as self – mortification, but Islam radicalized such doom and gloom notions of fasting, into an enlightened concept of righteousness and God-consciousness. Shab-e-Barat (Laylatul Bara’at): Is it Incompatible With True Islam? Every moment, second, minute, hour, day or night that is spent in the submission and obedience to Allah, the Almighty and His beloved Prophet (peace be upon him) is exceedingly meaningful and highly valuable. But there are some specific days, nights and months, which have their own weight due to extra importance attached to them. Among those nights, is Shab-e-Bar’at that is the best of all nights after Laylat ul Quadr or Shab-e-Bara’at in the estimation of Allah. 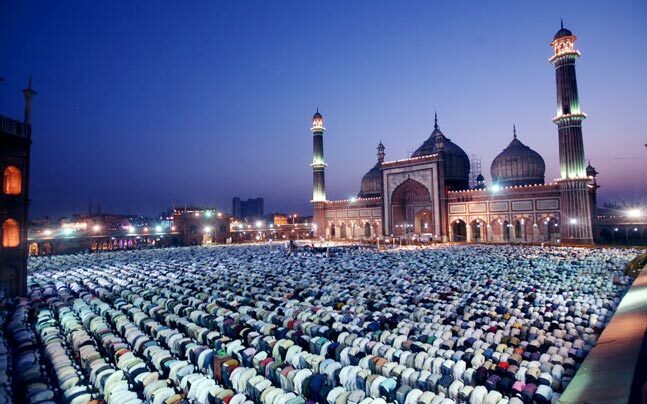 How and Why Muslims Celebrate Shab-e-Bara’at? Therefore, devoted Muslims of India, Pakistan, Bangladesh and Afghanistan celebrate the Shab-e-Bar’at on the 15th day of Sha’aban. 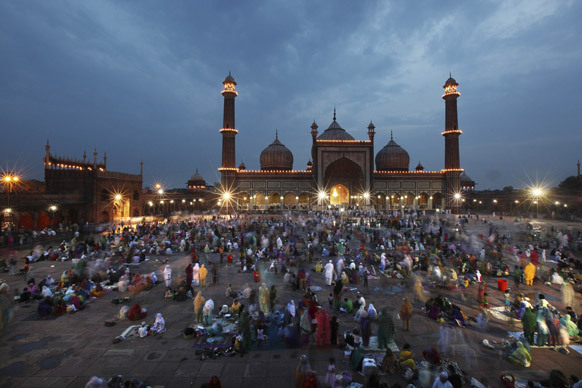 Although this night is not celebrated in the Arab countries, Shab-e-Bar’at also known as Laylat ul Quadr or Laylat ul Nisf min Sha’aban is a traditional Islamic festival in the South Asia. It is not Birr (righteousness) that you turn your faces (in prayer) towards East or West; but it is righteousness to believe in God and the Last day, and the Angels and the Book, and the Messengers; to spend of your wealth – in spite of your love for it – for your kin, for orphans, for the needy, for the wayfarer, for those who ask, and for the ransom of slaves; to be steadfast in prayer and practice regular charity; to fulfill the contracts which you have made; and to be firm and patient, in pain and adversity and throughout all periods of panic. Such are the people of truth, the God – minded (Qur’an, 2:177). So, this is how the night of mid Sha’ban is celebrated by mainstream Muslims especially in India, Pakistan, Bangladesh, Indonesia, and Malaysia. Keeping in view the above norms, the core essence of celebrating Shab-e-Bar’at can be summed up in three fundamentals of Islamic worship: Ibaadat (Worshipping God), Sila Rahmi (Maintaining bonds of Kinship) and Birr (acts of righteousness). All the above-mentioned ways of celebrating the night exhort us, in one way or the other, to fulfil our duties towards both our Lord and fellow human beings. While the sleepless night spent in various forms of worship is a gratitude to God, giving in charity, helping the needy, sending sweets to friends and relatives, inviting others to the feasts and things like these are, obviously, effective means to maintain bonds of kinship and attain righteousness. These are the clear objectives of celebrating Shab-e-Bar’at as intended by millions of South-Asian Muslims today. But what can we do when our Wahabi zealots and Salafi puritans declare everything we do as shirk (heresy) and Bida’ah (innovation)? They reject our religious congregations and Islamic celebrations outright even if they are observed with complete regard to the Qur’an and Hadith. The same holds true to the celebration of Laylat ul Quadr (known as Shab-e-Barat in the Indian subcontinent). Despite its having been authenticated and scrutinized by scores of Sahih Hadiths approved by their own imams such as Sheikh Al-Bani, a renowned scholar of Hadith, Wahabis are hell bent on classing it as Bida’ah. Their argument is; since it is not observed in Wahabi-influenced Arab, so it should be banned in all parts of the world. But mainstream Muslims, particularly Indian Muslims are not too naive to tolerate the Wahabi Arabisation of their religion and culture! The virtue of the night of mid Shaban has been established right from the Prophet (peace be upon him) himself and has come from multiple channels of transmission from Abdullah bin Amr, Muadh, Abu Hurairah, Abu Thulabah, Awf bin Malik, Abu Bakr, Abu Musa, Aishah (May Allah be pleased with all of them) each of the narrations strengthening each other. “You should know that a sufficient number of Ahadith have been narrated confirming “the virtues of the 15th night of Sha`ban”. All these Ahadith prove that it has a basis. ‘‘As for the 15th night of Shabaan, there are many narrations and Athar (quotes from the Sahabah) regarding its virtue. It has been reported of the Salaf that they prayed in this night. Therefore, praying alone on this night, having precedence in the Salaf, is sufficient evidence and something of this kind surely cannot be denied”. To sum up, the virtues of the blessed night of mid Sha’aban are established by a Qur’anic verse, scores of authentic Ahadith and a group of the Salaf (سلف “predecessor” is an early Muslim of the first three generations of proponents of the religion). So, it is highly recommended to celebrate this night and stay up on it, and the Wahabi view declaring it Bid’ah (innovation) is a “Reprehensible” (Munkar) opinion. 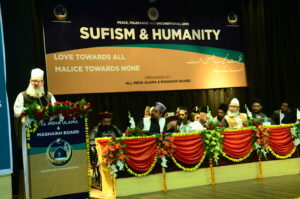 The All India Ulama & Mashaikh Board, the apex body of the Sufi Sunni Muslims in India, held a national seminar: “Sufism and Humanity”on 4th December in Vishweshvaraiyah Auditorium in Lucknow. Sufi Sunni ulema and intellectuals with various backgrounds spelled-out their opinions on the current ongoings. Several Indian Sufi clerics, who run some of the largest Sunni Islamic seminaries in India, seemed worried about the growing phenomenon of pseudo-Sufism or “neo-Sufism” dressed in diametrically different political forms. The national seminar on Sufism was held in the wake of the recently organised 33rd annual conference of the Jamat Ulama-e-Hind in the largest Sufi shrine in the country, Ajmer Dargah — perhaps for the first time in the Indian history. AIUMB averred that the Ajmer Dargah was dragged into a well-worked-out political campaign by Jamiat-Ulama-i-Hind (JUH), an avowed supporter of the Congress party. The key members of the JUH whose ideologues have clearly and categorically declared Sufism as “anti-Islamic”, chose to hold their 33rd annual conference in the prime Sufi Dargah in India, Ajmer Sharif in Rajasthan. 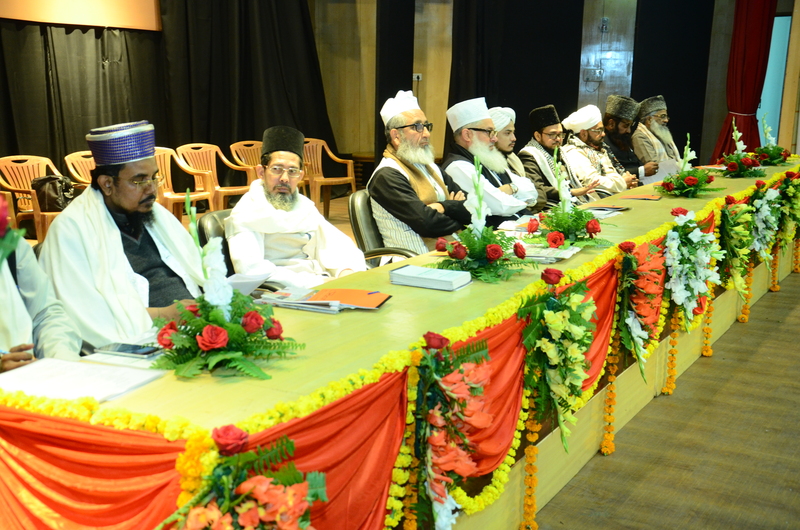 “It was an out-and-out political attempt to woo the mainstream Indian Muslims anchored in age-old Sufi traditions”, said the various participants and speakers at the Sufi seminar in Lucknow. It is noteworthy that the JUH had castigated the Sufi practitioners as “pseudo-Sufis” in the past. Therefore, the Sufi Ulema asked as to “how would the JUH like to brand itself now when it has held its 33rd largest annual conference in Ajmer using the prime Sufi shrine in India for its own political ends”? 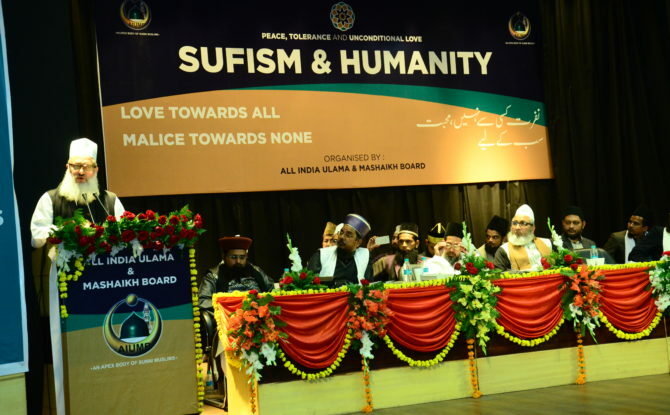 The Lucknow Sufi seminar’s key participants — 30-40 Khankaah’s representatives present, 200 Ulema’s Attended and in total the auditorium was filled with 1000 person .They exhibited great zeal in strengthening the foundations of Sufism to combat all the forms of violent extremism. 15 Selected Papers were presented by Sufi Scholars.It was widely covered in the Newspapers,Specially Urdu. Few Papers gave special 4 pages in all the editions of there Newspapers. Remarkably, while the Lucknow Sufi seminar stressed on composite nationalism (muttahida qaumiyat), inclusive democracy (jumhuriat) and pluralism (qaumi yakjehati) in its final-day declaration, the annual conclave of the JUH in Ajmer promoted the religionist and sectarian narratives. Hazrat Maulana Syed Mohammad Ashraf, founder and president of AIUMB inaugurated the seminar and spoke at length about the misdeeds of Wahhabi/ Salafi elements that are tormenting social fabric in the country and creating an atmosphere of confrontation. He also said that AIUMB has succeeded in exposing all the Wahhabi/ Salafi elements in India and to such an extent that they are now in the process of recreating their new identity card. He said that all of a sudden in a long history of 100 years , Jamiate Ulema e Hind has woken up to claim Hanafi and Chishty tag to save its reputation which has well been tainted by thier proclaimations, practices and presentations. The books written by Wahhabis in these 10 decades bear testimony of their adherance to wahhaabi ideology and their strong will to propagate the ideology through speeches, books , curriculum and teaching and preaching. Now they are at a loss to remain attached with the tag and want to misguide the people and the government by claiming to be Sufis. 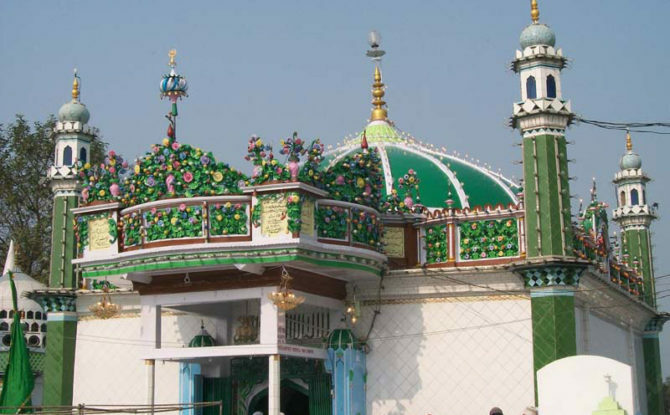 Hazrat Khawaja Moinuddin Chishty was under attack for 100 years and now the great saint of all times has gathered the attention and respect of all those that took pride in hurting Dargah culture for decades. 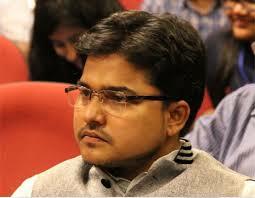 The seminar was organised at Vishweshwaraiah auditorium and was well attended function. people from all shades of life and far flung areas from different parts of country came to attend the seminar. A memorandum was also shared with the administration on the same. It was also stressed in the Lucknow conclave that Sufism belies all the notions which Salafism stands for. Traversing from Central Asia to the Indian subcontinent, Sufism incorporates harmonious local practices like music and qawwali which are rejected by the radicals in Islam. Not long ago, in March 2016, World Sufi Forum was slated as the first-ever mega Sufi event of counter-extremism with more than 200 international dignitaries from 20 countries. Though seen as the first and last event as such, it, however, seems to have begun an unending onslaught on the particular ideology which the Sufi forum believes is a grave threat to the country’s pluralistic ethos.